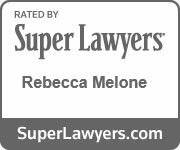 Living Wills & Advance Healthcare Directives | Melone Law, P.C. Living wills and advance healthcare directives are legal guidelines that specify your preferences for medical care and decisions if you become incapacitated or too ill to care for yourself. A living will is a type of advance directive, as is a durable power of attorney, a do not resuscitate order, and an organ donation form. These directives enable your caregivers to make choices on your behalf should you be terminally ill, in a coma, or in the final stages of dementia. A living will permits you to allow or deny certain medical options, even if the decision will result in death. This document can be used to decline a treatment that will only postpone the moment of death, not prevent it, since the will takes effect in situations of terminal injury or illness. By creating these documents while you are still capable, you will help family members or caregivers make the decisions you need in times of emergency. No one wants to think about future incapacitation or death, but it is still important to plan for the unimaginable. Crisis situations can strike at any moment, rendering these documents important for adults of all ages. At Melone Law, we can assist you in drafting your personalized directive and ensuring that your choices will be respected in your time of need.